Need patent translation software to help you translate your patent applications and litigation documents? We suggest researching your options thoroughly. Before you invest in software for patent translation, you must educate yourself in exactly what you should look for when shopping for patent language translation software. Whether you’re filing a new international patent application or you are in the litigation process due to patent infringement, read the following must-knows about patent translation. This quick read will save you headache, time and money. Patent translation software is not intended as a solution for all your patent translation needs. It’s a tool that helps you save lots of time and cut costs when your profession involves translating multiple patent applications. Patent translation requires in-depth legal knowledge, fluency in the target language, a clear understanding of patent requirements and a clear understanding of the intellectual property. This means when you purchase patent translation software, keep in mind that you’ll need a highly specialized human translator. If you don’t have all the knowledge necessary to accurately translate a patent file, you risk losing your client millions of dollars in potential revenue to another party. You wouldn’t want this for your clients, and it’s certainly not good for your reputation. We suggest you invest in patent translation software that allows for collaborative translation. 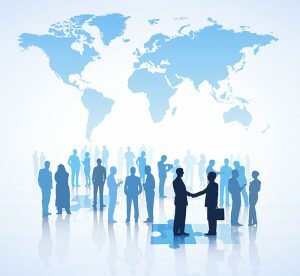 This way, you can hire others with the required expertise to collaborate with you on the translations within the software. When you invest in patent translation software, make sure that the software includes translation memory technology. Translation memory allows you to efficiently manage specialized terminology and legal phrases, as well as increase your productivity. It will store your translated words and phrases in a bilingual central repository so that you can use the same words over and over again in your translation projects. This means you’ll never need to translate the same word or sentence twice, and the quality of your translations continuously improves. This results in linguistic consistency which is of critical importance in patent translation. 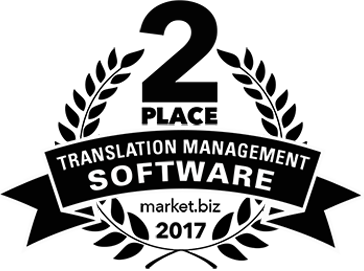 Translation memory will not only create consistency in your patent filing, it will also save time and cut translation costs for future translation projects completed within the patent translation software. 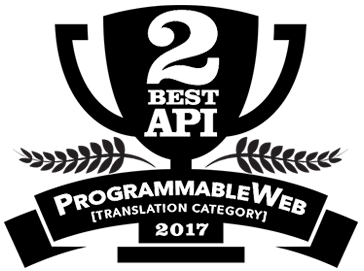 Please note that in order to benefit from translation memory, human editing of machine translation or human translation is required. We live in an age where cyber crime is constant. Breaches occur everyday and cost companies billions of dollars in damages and lost opportunities. Intellectual property is no outlier when it comes to the type of data a hacker would love to expose. It is for this reason that you can’t risk using patent translation software that lacks tight security—especially as someone who works in IP and legal. You should look for translation software that runs over a secure connection and encrypts all of your files and text. Any trustworthy translation management system will offer two-step authentication and a private cloud option if they take security seriously. It might surprise you to learn that any data entered into some of these tools can be repurposed. If you’re looking for patent translation software that checks all the boxes for security, translation memory and other time-saving features, try Pairaphrase. Pairaphrase is solving the world’s translation challenges, helping organizations across the globe translate smarter, faster and safer. View Pairaphrase’s full features list to learn more about how you’ll benefit from using Pairaphrase as your trusted patent translation software.